Looking for Kazakh translation and localization services? Since 2005 we’ve provided comprehensive translation and localization services to clients all over the world. Located just north of Chicago, we work with professional Kazakh linguists and a team of highly skilled project managers to provide excellent customer service and speedy project turnarounds to our clients. Looking for a translation agency you can trust? Welcome to Multilingual Connections! Whether you need to translate websites, legal contracts, surveys, marketing materials or technical documents to or from Kazakh our team is ready to help. We bring together the best Greek translators and the latest translation technology to ensure accuracy and efficiency. Our dedicated project managers work with you from start to finish to make the process as seamless as possible. 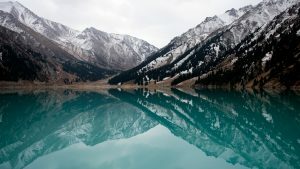 Looking for Kazakh audio transcription? We transcribe focus groups, interviews, documentaries, conference calls, seminars, legal proceedings, body wires and other audio and video content. We’re happy to accommodate your formatting needs and time stamping. Multilingual Connections’ multimedia localization team works with you to bring your story and your voice to life in Kazakh. We work with video production companies, creative agencies and filmmakers to get their film content out with linguistic accuracy and cultural nuance. Only a small percentage of our linguists are assigned to subtitling and voice over projects, as it takes particular skill. Count on us to help grow your Kazakh-speaking audience — or to bring your Kazakh language content to speakers of other languages! Planning conferences, employee meetings, legal proceedings or training with a Kazakh-speaker? Talk to us about your needs for consecutive interpretation, simultaneous interpretation or phone interpretation, available in the US and throughout the world. Our highly-trained and experienced interpreters convey your message accurately and help you connect with your audience! We work with several Kazakh regional dialects, so we’ve got you and your audience covered! Contact us to get your project started. Interested in learning more or getting your project started? Our team is here and ready to support your language needs! Are you with a company or an individual? What service are you looking for? If you're interested in working with Multilingual Connections, please go to our employment page here. Employment requests that are made through this form will not be considered. Thank you! Accepted file types: pdf, xls, doc, docx, ppt, pages, keynote, mp3, mp4, avi, wma, mkv, flac, wmv. Note that files sizes are limited to 128 MB, and file types are limited to pdf, xls, doc, docx, ppt, pages, keynote, mp3, mp4, avi, wma, mkv, flac, and wmv. If you need to upload larger files or a different file type, you can do so using OpenText here. Please let us know any details we should have about your project.